The Main Idea or subject is bracketed, as well as an Inverted form of it. 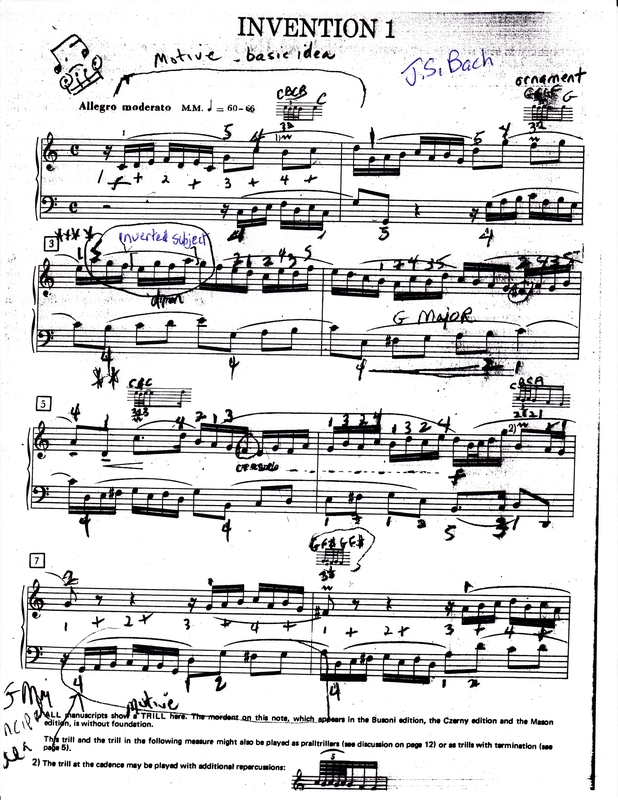 Key changes are also marked in the score. 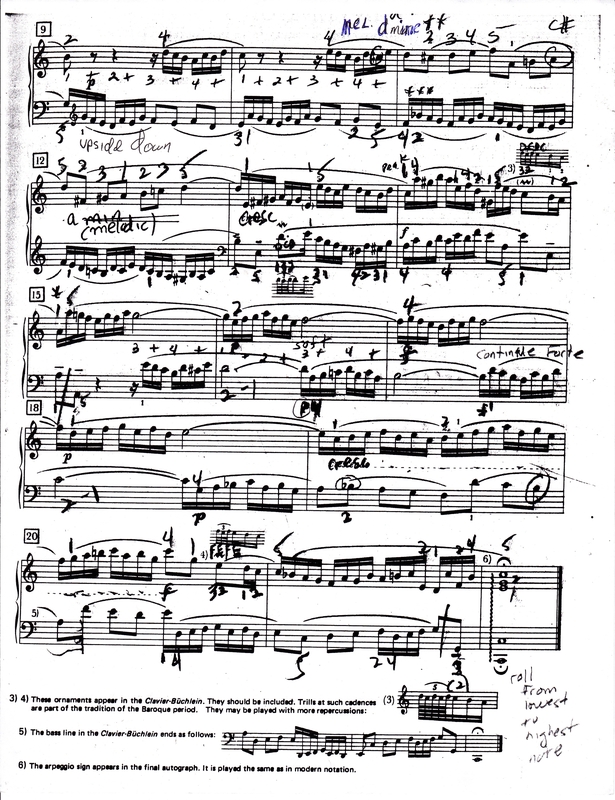 Recap: Instructional video, Bach Invention no.1 in C, BWV 772 to follow along. Thanks for your precious instruction! I’m a 24-year-old beginner. I’m going to learn this piece. Your tutorial helps me a lot! I thought this is a bit difficult for a beginner. However, thanks for sharing!